Lock in a great price for Best Baltic Hotel Palanga – rated 8.4 by recent guests! Value for money is good. Good continental breakfast with cereals and fresh fruits for children. Breakfast was okay, clean room, view was to the street. Beds comfy. Value for the price fair, but coule have been better. Spa opening hours were weird, but that wasnt inportant to us. Lovely place, nicely designed. Very clean. We had an excellent dinner at the restaurant. Nice hotel, great multi language speaking staff, beautiful place. 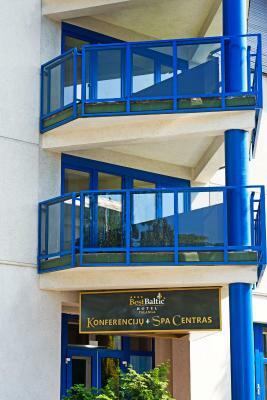 What else more.. Hotel based in the city center, short walking distance to the main Palanga beach. 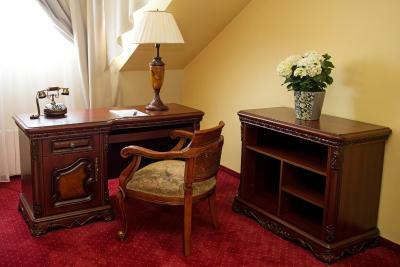 In hotel free fast fiber internet, access points cover all hotels facility. Room was spacious and comfy and had a lovely big bath. Breakfast wasn't as great as described on the web. Breakfast were really good. Location is close to city centre. Clean room, good breakfast, good lunch, very friendly staff. I liked that bathroom was planned very nice, a lot of big mirrows, enought space to feel comfortable. Great location, only 15min walk to the beach, nice spacious room, comfy bed, safe neighbourhood. Room was tiny but the most compact what I have ever seen. 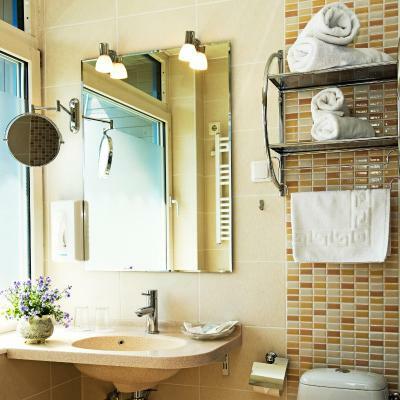 E.g, mirrors in shower were located smartly, possible to check yourself behind, without a need to be an acrobat. 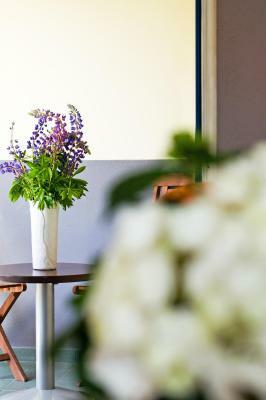 Best Baltic Hotel Palanga This rating is a reflection of how the property compares to the industry standard when it comes to price, facilities and services available. It's based on a self-evaluation by the property. Use this rating to help choose your stay! 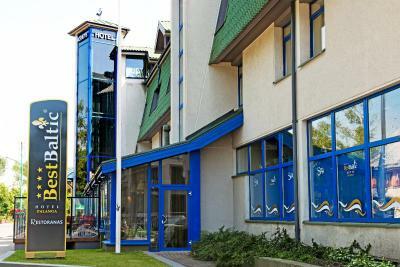 One of our top picks in Palanga.Best Baltic Hotel Palanga is a 4-star hotel just 1,950 feet from the Baltic Sea. 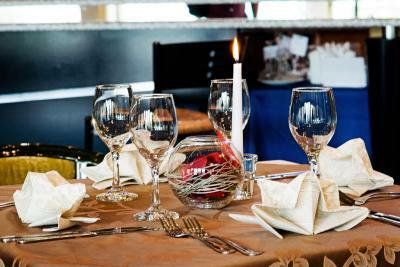 It offers a steam bath and on-site restaurant. 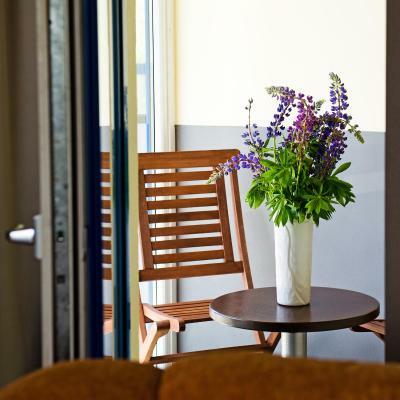 Private parking and in-room Wi-Fi access are free. 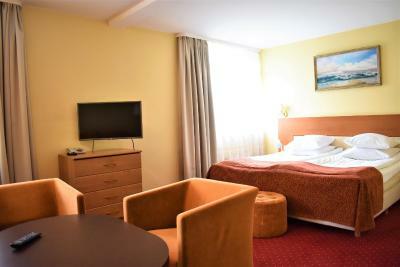 Rooms at Best Baltic Hotel Palanga feature wood furniture, satellite TV and private, tiled bathroom. Some rooms include a balcony. 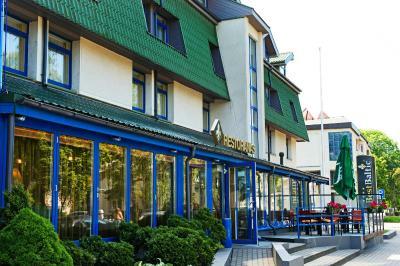 Best Baltic Hotel Palanga’s restaurant serves a variety of international dishes, as well as regional specialties including potato pancakes. In-room breakfast is available each morning. 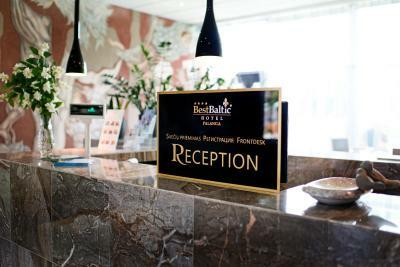 Staff at Best Baltic Hotel Palanga's 24-hour reception desk can schedule on-site massages for guests. 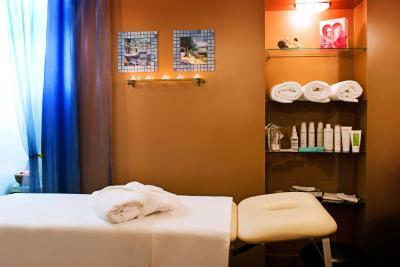 Spa is available free of charge from 9:00 until 11:00. 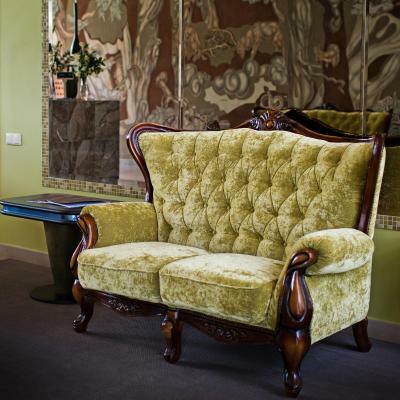 Best Baltic Hotel Palanga is 0.9 mi from the Palanga Amber Museum. 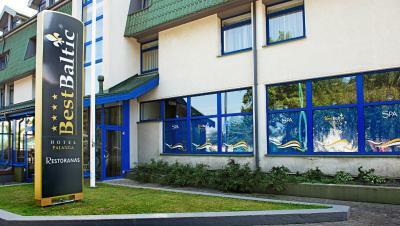 Guests can reach Palanga International Airport, a 3.1 miles drive, using the hotel’s airport shuttle. 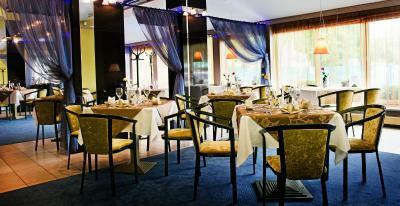 When would you like to stay at Best Baltic Hotel Palanga? Classic room with satellite TV and a private bathroom. It includes free access to spa from 9:00 until 11:00. 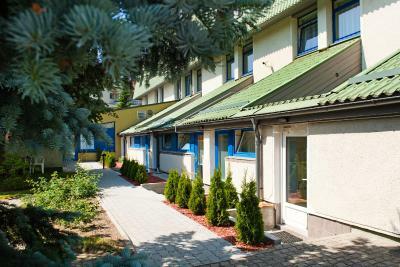 Large apartment includes a large work desk with sofa, a flat-screen TV in the bedroom and a private outdoor balcony. It includes free access to spa from 8:00 until 11:00. Two rooms with an elegant interior design, a seating area and TV, a bathroom and a terrace. There is a small private bathroom with a toilet, sink and shower. Daily sauna, steam sauna and spa bath access is free from 9:00 to 11:00. 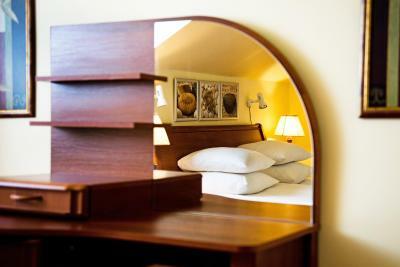 This double room has a satellite TV and private entrance. 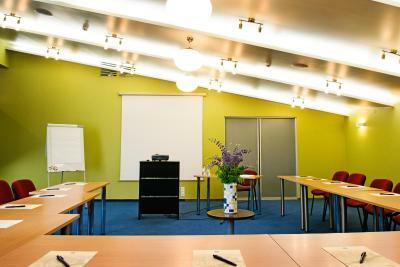 It is located in one of the side buildings in the hotel area. It includes free access to spa from 9:00 until 11:00. Two rooms with an elegant interior design, a seating area and TV and a bathroom. There is a small private bathroom with a toilet, sink and shower. Daily sauna, steam sauna and spa bath access is free from 9:00 to 11:00. This suite features a satellite TV. It includes free access to spa from 9:00 until 11:00. 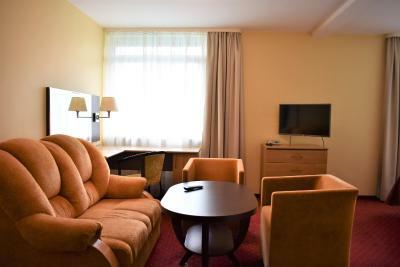 This twin/double room features a sofa and seating area. 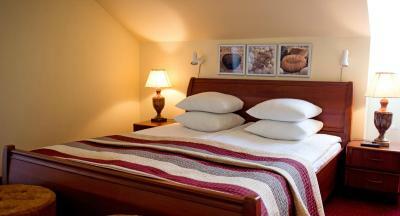 This is what our guests say about us: “well situated. Staff very friendly. Breakfast amazing!! 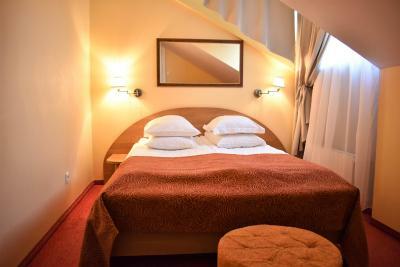 !” Come and take a look yourself, you will be a few steps from a sandy beach and in the city centre. Our staff will help you with any questions you may have and you will have a great start of the day with our tasty breakfast. 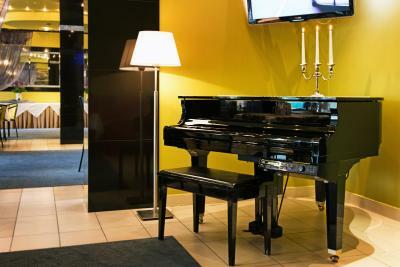 House Rules Best Baltic Hotel Palanga takes special requests – add in the next step! 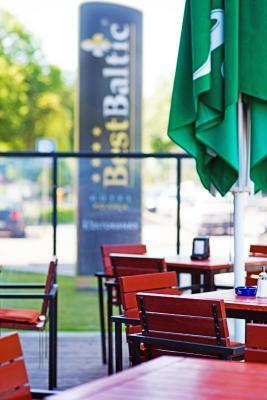 Best Baltic Hotel Palanga accepts these cards and reserves the right to temporarily hold an amount prior to arrival. 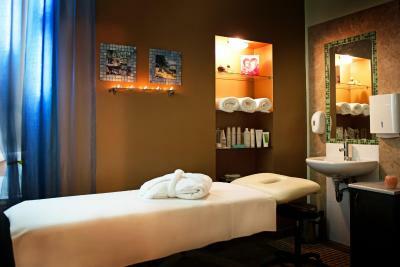 Spa is available free of charge daily from 9:00 until 11:00. 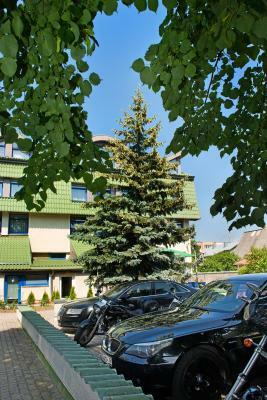 Best Baltic Hotel Palanga offers shuttle service from Palanga, Kaunas and Vilnius airports at a surcharge. Please inform the reception in advance in order to book the service. 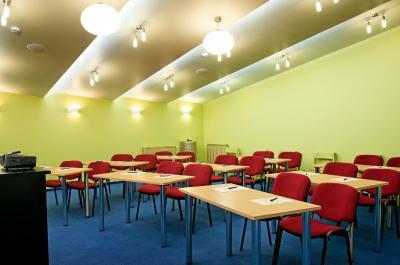 The room was big and very comfortable, we could even prepare coffee in the room. The breakfast was wonderful. The room service: in 6 days our bed hasn't been never adjusted and the room never cleaned. This is NOT a 4 stars hotel! I wish the spa was accessible throughout the whole day, as well we expected more from it. It's tiny. Very easy to get crowded, especially because everyone rushes in at the same given time. Empty mini bar, no coffe, no tea in the room. Dirty carpets in corridoor. SPA works just few hours in the early morning. Very uncomfortable bed, small room, noisy neighbours, strong smell of smokes especialy at night and early morning. Rooms needs to be renovated. The room was in -1 floor with a very small window, that you can open just a little bit, so it’s very hot in the room, no condicioner, hard to breathe at night. No sound isolationt at all, so lack of privacy at the room. It was promoted that spa and sauna facilities are available when you book a stay there, but it's actually a cheap trick to fool people as the facilities are only available from 9am to 11am. Since the facilities are super tiny they get swarmed by a milion people. The water in the jacuzzi was also cold. To get a massage they have to call someone to get there. There's no aircon in the room. It was so hot, that we couldn't sleep. If stayed for another night, - would have asked if they have a fan at least. Don't book the economy room! It is too small and noisy. It is better to pay a little more and have the standard.